Sponsoring a KINGS WORLD TRUST FOR CHILDREN (KWTC) child is a wonderful opportunity to help a child in desperate need. Your sponsorship will help them to escape an inevitable life of crushing poverty, and give them a future full of hope and promise. We link sponsors to specific named children in our care and we encourage sponsors to keep in touch with their sponsored children thorough KWTC. 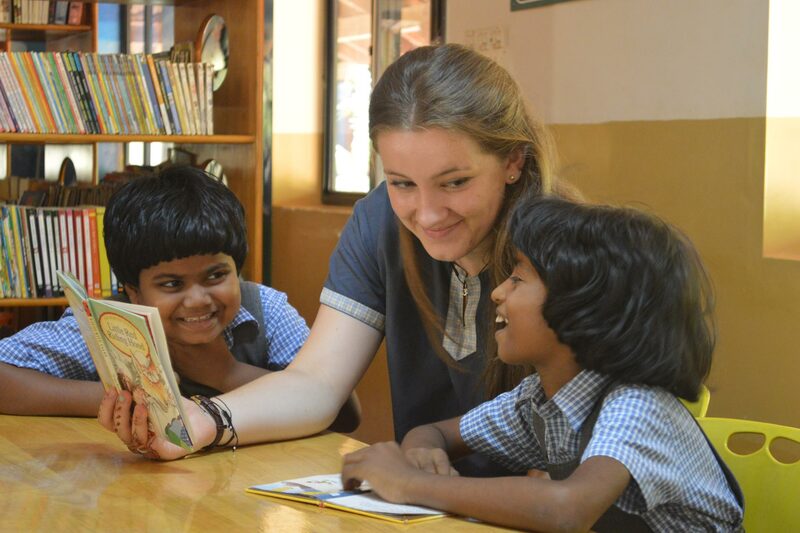 Kings World Trust for Children run a successful volunteering programme which welcomes skilled and unskilled volunteers of all ages to come and work with us in Tamil Nadu, supporting our staff and enriching the lives of the children we support. Our volunteers are well supported by a Volunteer Co-ordinator and live in a dedicated guest house on the same site. Bursary students participated in the district level Republic Day and Barathiyar Day competition on 24th October at SDAT Swimming pool, Tirunelveli. Around 300 students from all over the district came to this competition and the below 7 bursary students qualified to play in state level competition which is going to be held in the month of November at Dharmapuri. Funding the care, education and support of poor and disadvantaged children in the community. Paying the fees for students to study at University, Polytechnic College or technical skills training centres. Supporting children and young people with physical and mental disabilities and those who are terminally ill.
Providing full or part scholarships, at Kings School, for children from very poor families. In order to fund these projects, we need money. We do not receive any funding from either the UK or Indian Governments. We rely on private donations from individuals, clubs, faith organisations, grant making trusts and companies. We also operate a 'Child Sponsorship' programme and encourage individuals or families to make a difference to a disadvantaged child. Sponsors can keep in touch with them by letter or e-mail and even visit them in India. 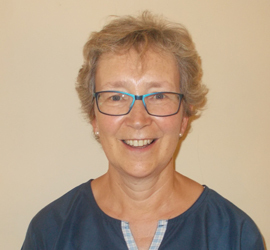 Fundraising is always difficult and the depressed pound, uncertainly about Brexit, have had a devastating effect on the income available to KWTC in India from the UK. Please sponsor a child or make a donation to Kings World Trust for Children. Your money and support will really make a difference. 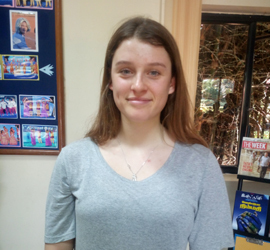 I really enjoyed my time here at Kings, particularly being with 3rd and 4th standard and the children who go to study prep, as well as helping out in the kitchen and swimming with the older girls. This is my fifth visit to Kings World Trust for Children and Kings School and I believe each visit has strengthened my relationship with the organisation and the children. My time at Kings has gone a lot quicker than I thought it would. 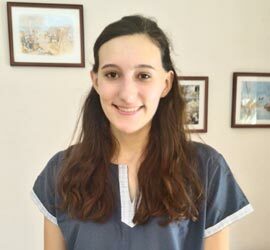 I've had the chance to get to know so many of the students, through the short drama production, playing sport, study time and just talking to people. I very much enjoyed my time at Kings School. It is so refreshing to see people from all different cultures working together for such a good cause. In the school it is easy to see that everyone is passionate. 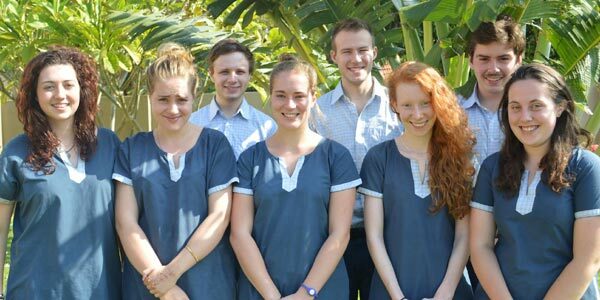 Volunteering at Kings School was a really enjoyable and rewarding experience for me. As a more mature volunteer, I wasn't sure how useful I would be. My school days are a long time ago. I had such a wonderful month at Kings. It is unlike no other school I've visited - from its beautiful green surroundings, to its excellent facilities and range of extra curriculum activities, to its brilliant canteen food. I felt very welcome at king's school. I enjoyed helping the children with their reading, especially the kindergarten children. The outreach visits were very eye-opening for me as i could the living conditions of the local people. 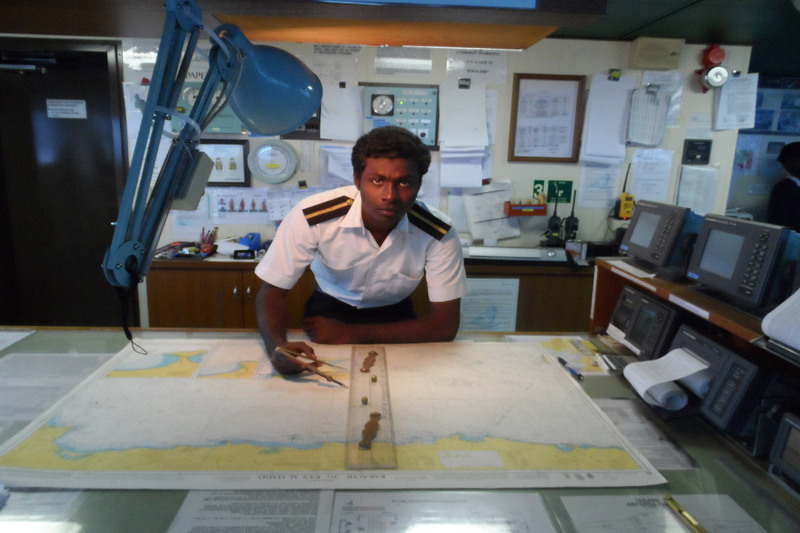 Charles who is an ex Trust and Kings School student joined his first ship, a large oil tanker called MT Isis, as a Deck Cadet. So far he has visited Singapore, Dubai,Philippines and Vietnam and is now en route for Australia. 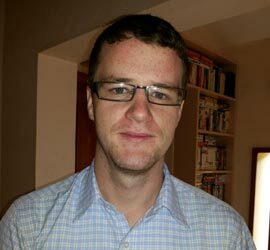 Sam Nesaraj has been supported by the Trust for a number of years but has since qualified as a mechanical engineer. 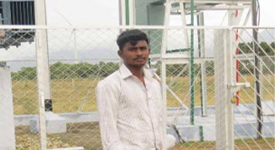 He is working as an apprentice trainee in the Nagercoil transport department and is enthusiastic about his future. Martin has been helped by the Trust since he was a small child. 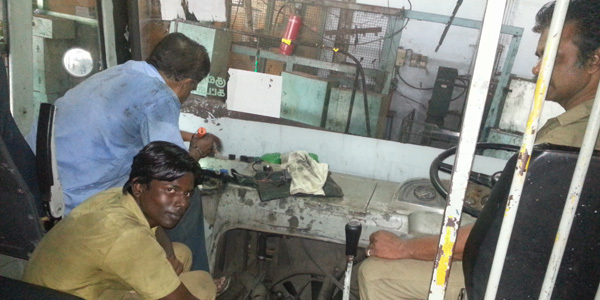 He is now working as a sales representative for a car show room in Vallioor and is very confident about his future. He is proud to support and take care for his elderly grandparents. Sam Antony and Jebashrill were together at the Kings World Trust and continued onto the same college doing a diploma in mechanical engineering. Both have been successful and are now in responsible positions on oil rigs. They enjoy travelling and their jobs. 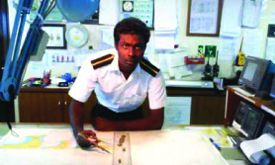 Isaac Kirubakaran has been with the Trust since he was six and is now an engineering graduate. 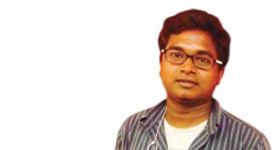 He is currently teaching in a college in Tirunelveli and looking after his mother. He presented Uncle Colin and Mr. Navamani with a gift. 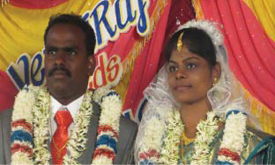 Mrs Thangamuthu and her four children were left homeless when her husband died. 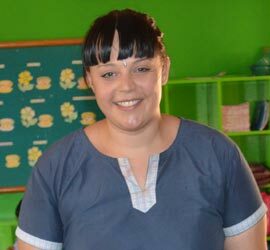 She joined the Trust as a Foster Mother with her children, while her children attended school. All her children have graduated from other colleges and all at work. 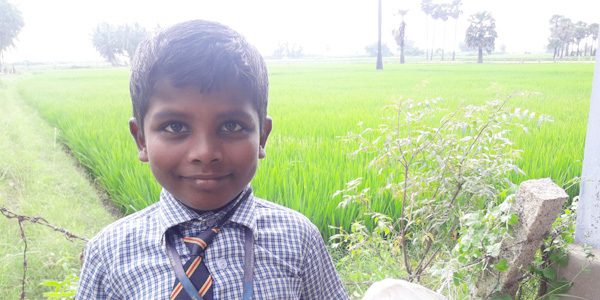 Jaison was just six when he joined the Trust. Having lost both his parents and his sister his situation was desperate but he is now confident and enjoys life. Jaison left the Trust with a degree in Hotel Management and Catering. He initially worked in a five star hotel in Mumbai and has also spent time working in Gulf. 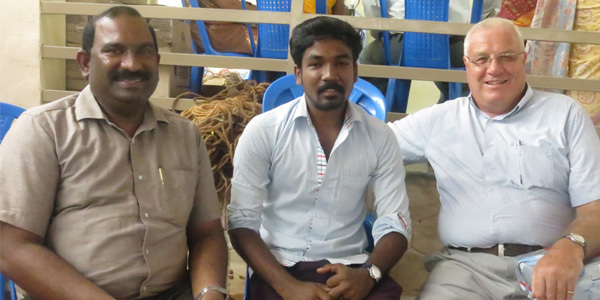 Gunaseelan joined the Trust after his father deserted the family. 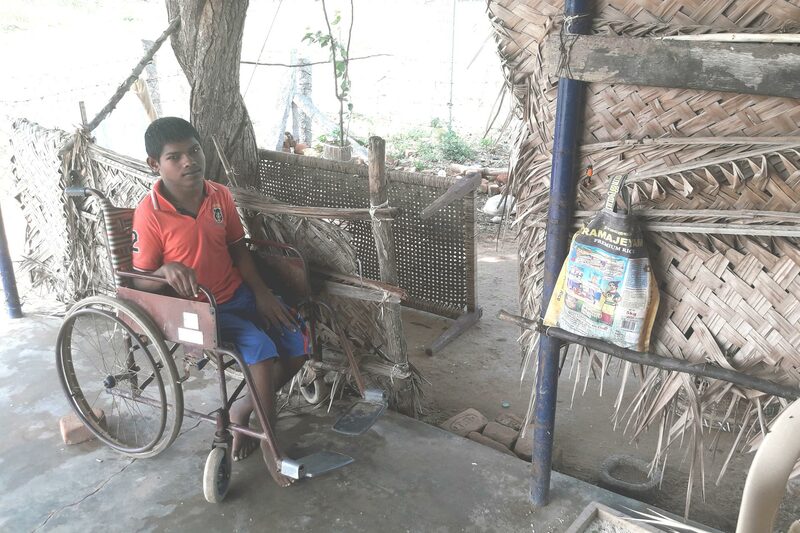 His mother was unwell and his mentally challenged uncle could not be any support to the family but a drain on their resources. He graduated in mechanical engineering and is now in charge of a wind farm. 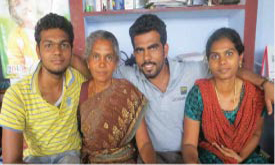 Jeyakumar has returned from Chennai and is with his family in South Vagaikulam. 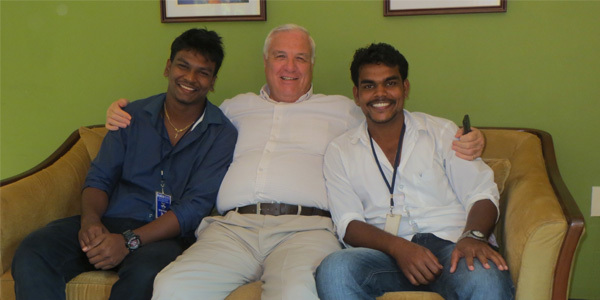 He and his brother Ramarajan are running a travel business together. His sister Muthuselvi is working as a lab technician and her husband is working abroad. 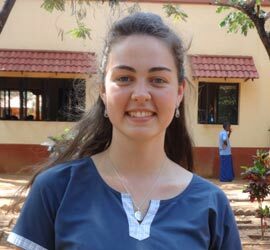 Muthuselvi graduated through the Trust's Outreach Programme and is working as a teacher at Kings School. She is married to a chef and is a mother. The family is very happy and is grateful to the Trust for its support. 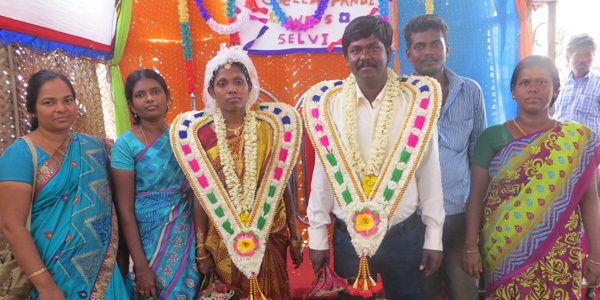 Chellapandi and his sister Gracemani were educated by the Trust and have graduated. 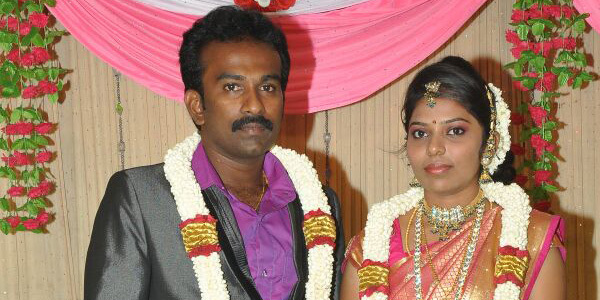 Gracemani got married and Chellapandi went to work in Chennai. He is now the Marketing Manager at the Reliance company and is married to a nurse. 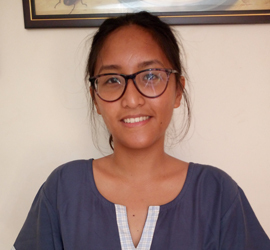 Ponrani joined the Trust after her mother's death; her father married again and deserted her. 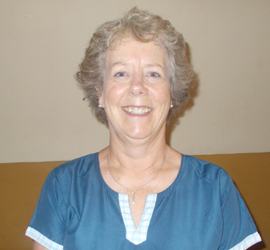 Ponrani qualified as a Montessori teacher and was working in Kings School until she married a successful businessman.